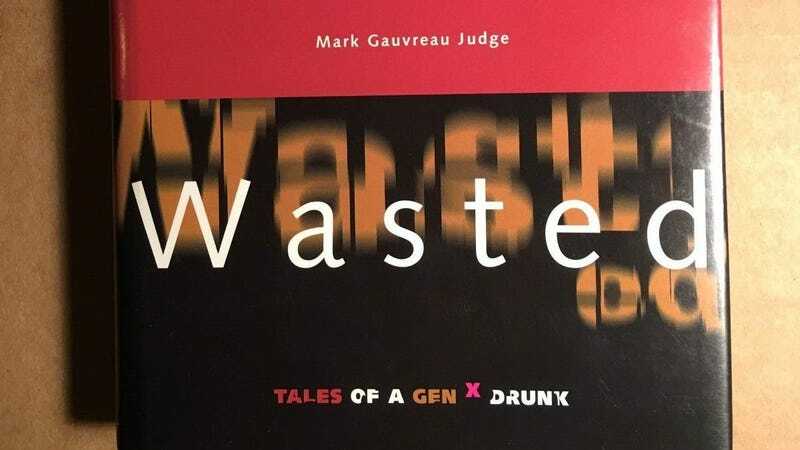 If you have a a couple thousand dollars to spare, why not treat yourself with an original copy of Mark Judge’s 1997 out-of-print memoir Wasted: Tales of a Gen X Drunk? Good luck copping a physical copy of the book for anything less than $1,000, though. Finding this book for a reasonable price is impossible. There’s only one Amazon listing for a used copy of the book going for $1,949. The lowest “buy it now” price for the book on eBay is currently $500; another seller is offering up the book for a cool $999. An autographed copy had a starting price of $42 on September 30; the current bid is $285. It is not even close to being a good book. This may explain why it was published not by a mainstream house but by Hazelden Publishing, an arm of the well-known addiction treatment center. Shags scored a hit, then handed me the glass. I drank. If you were standing anywhere near a quarters game, you could get picked even if you didn’t want to play or weren’t paying attention. This sure sounds like a lot of stories that have come out about Kavanaugh’s drinking. And please, I have but one request: If you ever depict me in your book, give me a name that actually hides my identity. Ashlyn Reeser just won’t cut it.